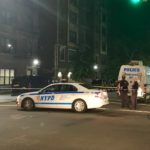 Three people were shot on Friday night in Crown Heights by a gunman, and police say it doesn’t appear the shooter and victims knew each other. 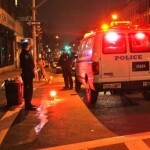 The incident occured at around 7:30pm on Union Street. A 28-year-old man was shot in the neck, and a 33-year-old man and an 18-year-old man were each shot in the leg, police said. They were taken by EMS to Kings County Hospital for treatment. Police are investigating the incident, and have not yet made any arrests. Getting back to basic Crown Heights. I take it none were from our community? “Crown Heights” now stretches to Atlantic Avenue and very far to the East and to the West according to news reports on crime. That is certainly not the kind of Ufaratzta we were looking for. Exactly where on Union did these shootings occur ?